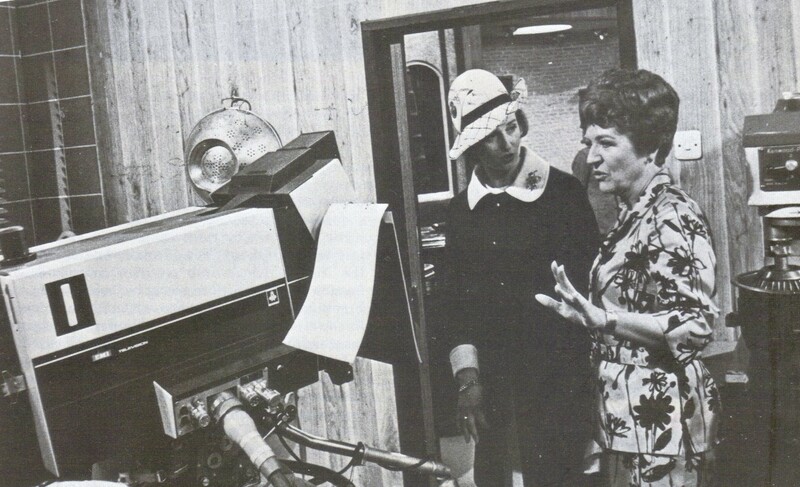 The whole cast as well as the people behind the scenes were thrilledwhen Princess Alexandra visited the Crossroads studios. She asked Noele Gordon what was to happen in the next scene, and was intrigued to learn that Noele, as Meg, had to faint. She was curious to know how Noele could fall heavily without hurting herself, and asked to see just how it was done. Noele did just as she was asked, and fell into a graceful heap right at the Princess's feet! Another Royal visitor to the studios was Prince Philip, who told the cast that the Queen and other members of the Royal Family sometimes watched the programme. Surveying the set, Prince Philip noticed Maggie Hanley, dressed as a tart. "Who is she supposed to be?" the Prince asked Noele Gordon. Noele didn't know quite what to say, and hedged around the question for a while. But the Prince was persistent. "But why is she dressed up like that?" he asked. "She's supposed to be playing a lady of easy virtue, but I didn't like to say so," said Noele at last. Prince Philip laughed loud and long. "Whyever not?" he asked. "I do know what they are, you know!"